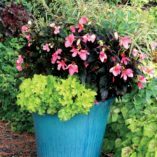 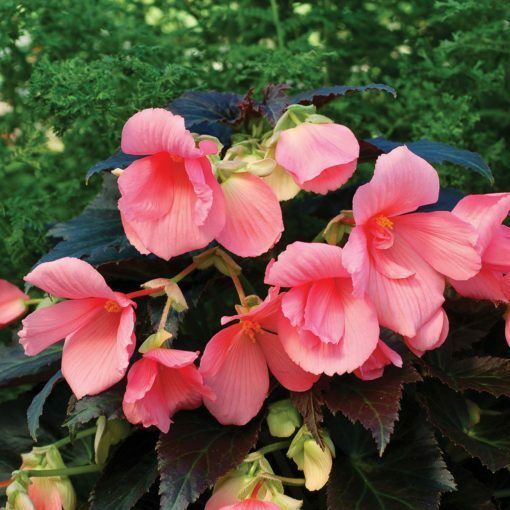 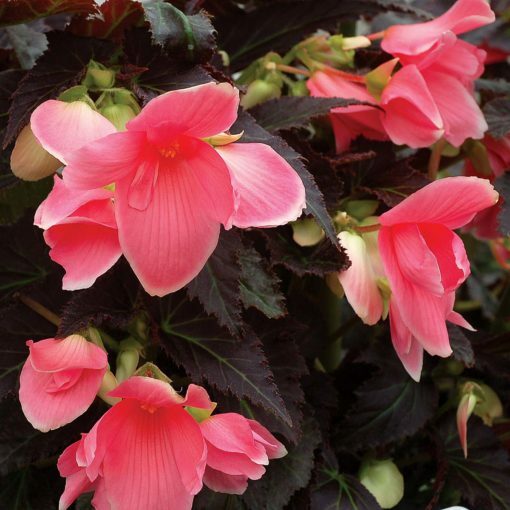 Begonia COCOA™ ‘Enchanted Evening’ | TERRA NOVA® Nurseries, Inc.
Large, single, shrimp pink flowers resemble hibiscus blossoms. 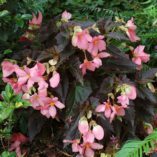 These appear in clusters and face slightly outward on a large, upright plant with dark cocoa brown foliage. It is glamorous and elegant with movie star good looks. It grows with an upright habit to 2' tall. 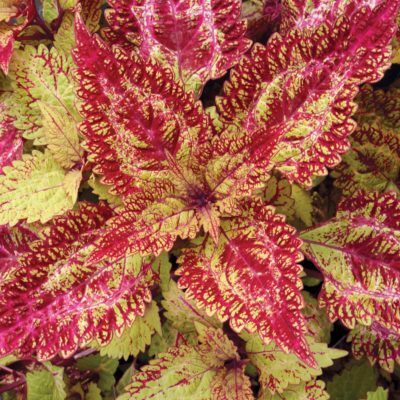 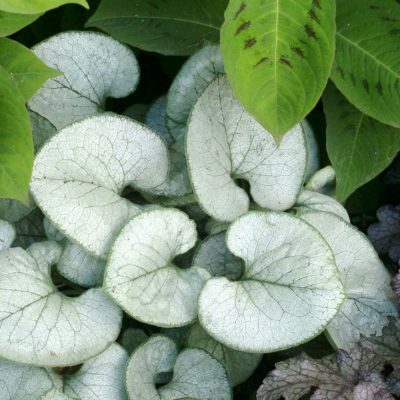 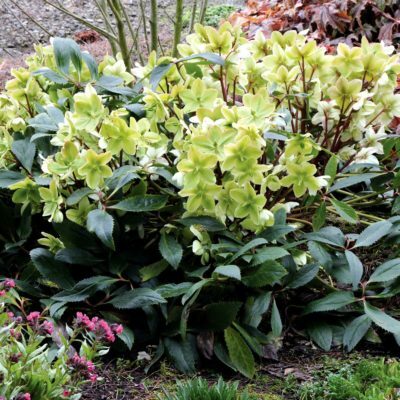 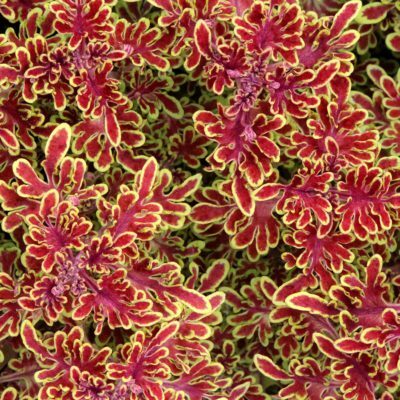 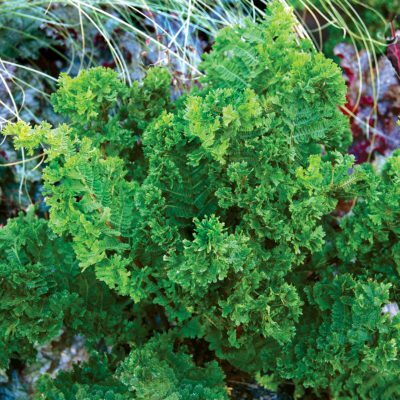 It is impressive in mixed shade containers, as a houseplant and is stunning in garden beds. 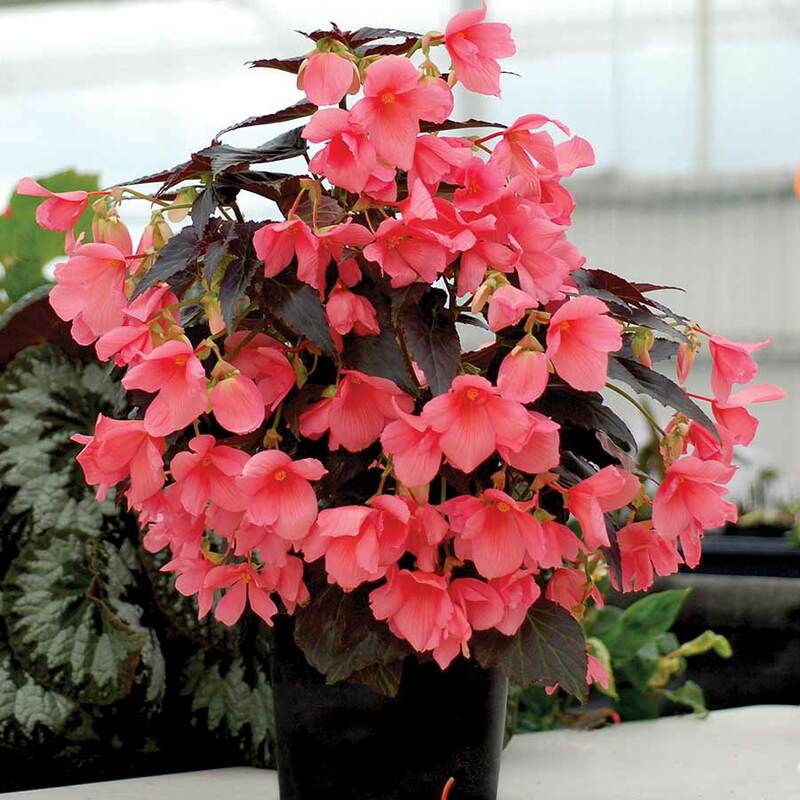 'Enchanted Evening' is a selection that just keeps blooming, even during the winter indoors. It is the first upright, large flowered, dark brown foliage shrub Begonia. It is always in bloom. Has survived here in Canby, OR for 4 years in the ground, mulched.